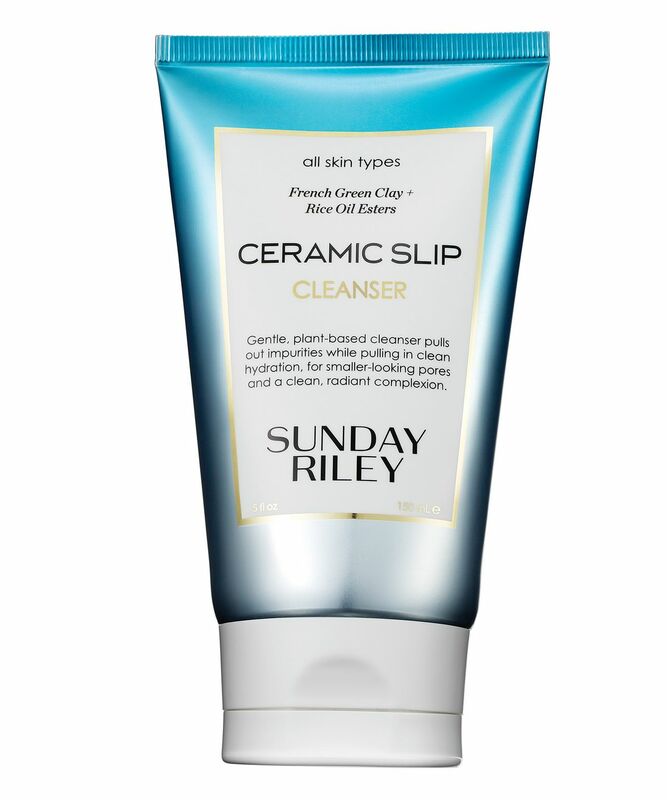 Sunday Riley’s iconic Ceramic Slip Cleanser is back – and better than ever! Completely reformulated and repackaged, the water-gel cleanser ‘pulls out’ impurities while ‘pulling in’ clean hydration for smaller-looking pores and a clean, radiant finish. A blend of plant-based purifying soaps lift up and wash away dirt, while French green clay, bentonite and white clay draws out dirt, oil, pollution, SPF and make up from pores for a supreme clean. 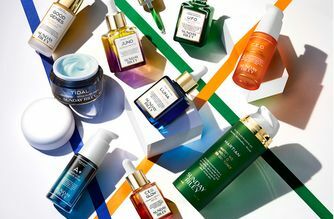 White rice and olive oil esters – these water-soluble, skin-protecting and antioxidant-rich organic esters are multi-tasking actives comprised of skin-balancing, nutrient-rich proteins – protect skin from dehydration by strengthening it and deeply nourishing your natural moisture barrier. Alongside this, neroli oil helps to calm and balance, making this an extremely gentle (yet deep!) cleanser that can be used anytime to promote a more healthy, youthful-looking complexion. What's happened to Good Genes? I just purchased the new formula ceramic cleanser, now in the tube not the pump. Was explained they were having issues with it irritating the eye area. I personally loved the old cleaner! Was great for the pores. Or little overnight extra. Now it’s like runny water, washed out with non texture. The new formulation lacks all the things that have made me a long term user, even the flip top means so much comes out that you don’t need, I moved the new formula back to the old pump and sadly I won’t be buying it again after this. I need a good all over face wash when I get home, I feel like I have to use another straight after using this one! My skin is oily and I have a big problem with acne, this is gentle enough but also cleans my skin really well. It has really transformed my skin. This does not foam up like all the other cleansers that I have used, however, it really does do the trick of making my skin look brighter and more radiant, I used this with my Foreo luna. I have dry skin so it took about a week to see the results on my skin. I’ve been on the hunt for a good cleanser to suit my needs. I’m in my late 20’s (basically 30!) and i have oily-combo skin with the occasional hormonal breakouts. This cleanser first caught my eye when it was the old formula, but as they were changing things i was not able to purchase it until this version was launched. I’ve been using this cleanser for a over 2 months, and i just opened my second tube. From my experience, having oily skin, this cleanser has made my skin look amazing. Only gave it 4 stars because its not specifically targeted to my skin type so it doesn't do everything i want it to do, but overall i have noticed a difference and my skin looks and feels so healthy. I use it with my Foreo luna cleansing brush(oily skin), and i do think using with with a cleansing device maximises its benefits for the skin. It does come out A LOT when you dispense so be careful and start with a small amount and add more if you need to. Once you get the hang of it a little goes such a long way and it could last you probably even 3 months. So all in all, I really like this cleanser and I am happy with my purchase. If you’re willing to spend the money I would give it a go. I'm similar to many other reviewers. I used the original formula a few years ago and loved it. Didn't realise it had changed. It's awful - felt really soapy, stripped my skin and made it go batty with breakouts, which it never does. I had to ditch it halfway through the tube. Avoid! Absolutely gutted Sunday Riley decided to change the formula of what was an amazing cleanser! The old formula cleared my acne-prone skin, but this new formula leaves my skin feeling congested and no longer stops the break outs. Please bring back the old one! Hate this new formula so much - it’s like buying a designer cashmere jumper for £250 and M&S do them for £85, don’t waste your money ladies there are better alternatives available. Such a shame as I used to love Sunday Riley. I noticed this new formula is more runny, less foamy, it stings my eyes and leaves a bad taste in my mouth (literally). I hoarded the old formula so I’m covered in the next few months but I hope they do bring back the old one. The squeezy tube doesn’t do well with this runny formulation. It creates a lot of wastage when you dispense, no matter how gently you do it. I use this in Winter, so it's ok. In the Summer when my skin is oily I use a different cleanser, but for cold weather and if you double cleanse, it's great. I had a bad breakout and thought I would need to try a better cleanser for my oily combination skin. But this one is definitely not worth the money. I don’t think the breakout is getting worse but it also didn’t get any better since I started using this cleanser. Definitely not recommended if you have issues with your skin! Perfumed Gal and I have had the same experience! This new formula is so disappointing. My acne-prone oily skin loved the squeaky clean feeling after the original formula. The new formula leaves my skin feeling congested and I've broken out!!! 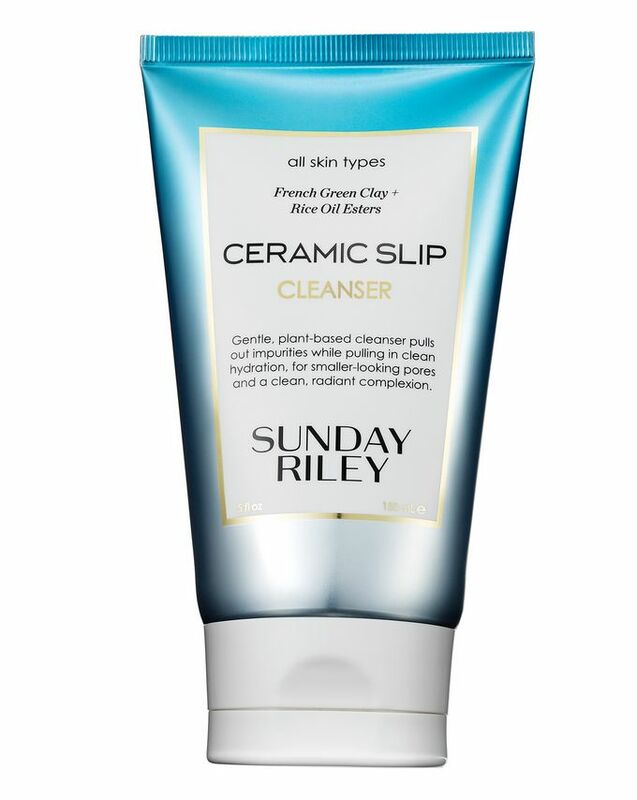 It's truly so disappointing that Sunday Riley has swapped formulas for an inferior product. Be better! I really love it! I use it every morning. Really good on my second tube. I use this to gel wash both morning and night and then follow up with an eye-makeup remover in the evening. My face feels clean and non irritating and then I follow up with other products in the range as love clean skincare! I used the previous one in the pump bottle which I definitely prefer as the tub gets all grimy at the bottom. I find the cleanser so gentle. I have dry skin and it doesn't dry me out at all. I also find it makes my pores look smaller. You only need a tiny bit so the tube will last a long time. Can't say it's a holy grail product... It's ok if you double cleanse and if you use it during the cold months. The texture is runny and the bottle doesn't last that much. The cleanser doesn't strip the skin, so the skin doesn't dry out. But it definitely does not leave my skin feeling clean which is a bit sad, because I really wanted to love this cleanser. It is quite good with removing make up though. I would say that this cleanser is closer to oil cleansers you now have on the market. I bought this after it was recommended to me by several people as being good for clearing up clogged pores, blackheads and oily skin. It didn't give the deep cleanse I was hoping for, however it did leave my skin nice and glowy. If you have clear skin already and just want something to give you an extra bit of glow then this is probably the cleanser for you! It's ok, but definitely different from the original. The tube is much less convenient than the pump version as the formula is quite runny and spills. I miss the smell of the orginal as well and ph level is much higher than before which is not so good for my oily skin. I will use it, but i don't love it. Totally different from the old (original) Ceramic slip - an important fact, that definitely was not clearly marked on the website. I fell in love with the old Ceramic slip, and since they made a new formula with a new packaging I wanted to try it and wanted to love it. First of all: The formula is way too runny for the packaging! You will easily use 3 times more than you need, making this already costly cleanser taking an extra bite out of you wallet. That's why I put this formula in my old Ceramic Slip pump bottle. It's absolutely nothing like the old formula. The old formula left my skin feeling very clean and 'as new'. I do not like the texture, it feels more sticky than creamy and doesn't leave my skin feeling clean. I notice that I get more breakouts when using this cleanser, if you have sensitive skin that is prone to breakouts and need a cleansing face wash, this ain't it! I want the old formula back! Why the negative reviews? I just don’t get it. 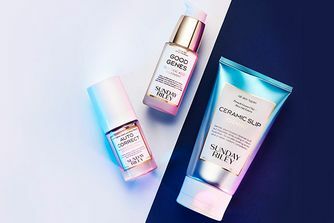 I have been using Ceramic Slip as my go to cleanser since it was introduced. I have sensitive breakout prone skin. I found it never completely removed my makeup, and started using with Sarah Chapman Ultimate Cleanse. I never like the gummy texture or plastic like smell of the old formula, but it agreed with my skin. I tried a sample of new cleanser for almost three weeks before I purchased. The new cleanser removes makeup much better, it seems to leave my skin plump, but not oily, has no noticeable smell, and it has cleared up some minor breakouts I had. Great for sensitive skin. My skin doesn’t feel at all tight or stripped using it. I would highly recommend. The product comes out too fast from the new packaging, so you end up wasting quite a bit. Not as nice as previous formula, wouldn’t buy again. Really gutted with the reformulation. Does clean well but comes out the squeezy tube too quickly (preferred the pump bottle) and has lost the lovely herbal scent that made it luxurious. Will not be buying again when this runs out. Shame it couldn’t be left as it was. I loved it!